Aqua Squad is a summer research and design program for 7th and 8th grade students in the San Angelo Independent School District. Students explore photography, learn about local water issues, practice communication skills and utilize design to solve local problems. Aqua Squad teams will visit the Shedd Aquarium, the San Diego Zoo, and the Franklin Institute in order to gain an outside perspective on water issues, art and design. Once the summer is over, Aqua Squad is sent into the community to share what they’ve learned through exhibitions, public appearances and participating in community events. 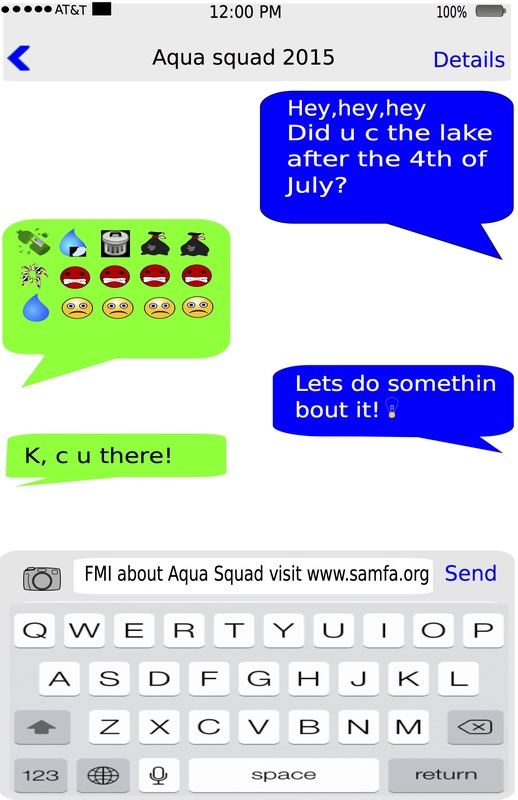 Aqua Squad is a joint program designed and administered by the San Angelo Museum of Fine Arts, the Upper Colorado River Authority, and the San Angelo Independent School District. The San Angelo Museum of Fine Arts knows the importance of water education. Through partnerships with The Upper Colorado River Authority, San Angelo Independent School District and Angelo State University, Aqua Squad has emerged. What is Aqua Squad? As the name implies, it is a team of experts specializing in science and communication comprehensively trained in water issues related to our community. They also happen to be middle school students from SAISD. Aqua Squad members spend the summer researching water, art, and design with expert staff from the San Angelo Museum of Fine Arts and San Angelo Independent School District. They educate the public about one of the most important issues in the Concho Valley: water quality and scarcity. However, education isn’t just about talking. 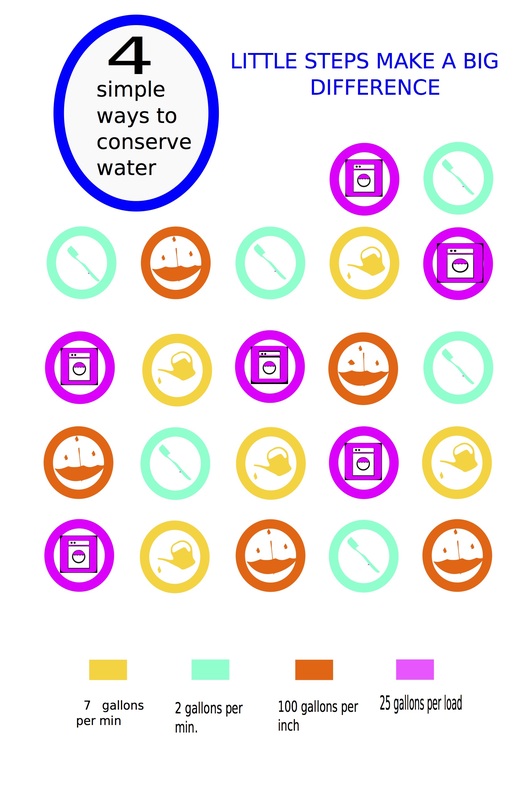 Aqua Squad is a group of designers, and they have some fantastic ideas about how museum exhibitions, hands-on activities, educational resources, and creative art installations can help the public use water wisely and improve water quality. During an intense brainstorming session, Aqua Squad create tangible products in form of educational posters. 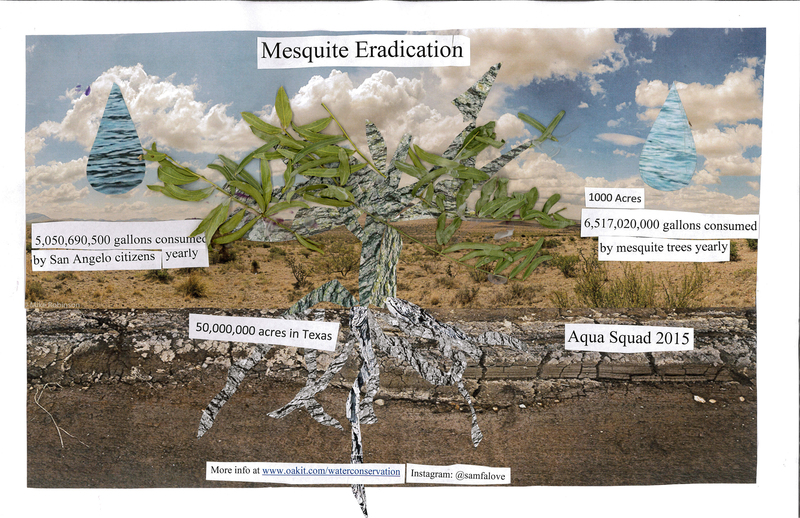 These posters reflect some intense water issues such as how much water mesquite trees, an invasive species, use. 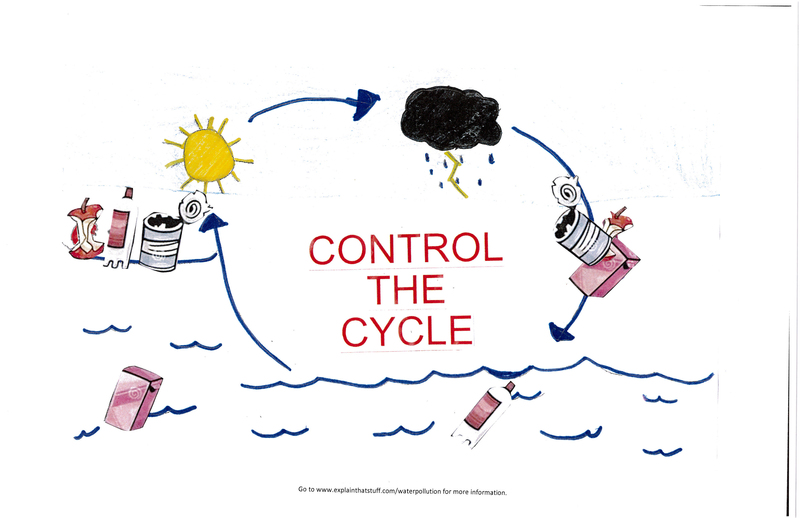 Or how littering can break down the water cycle. These posters will be printed and distributed around San Angelo.